Great work. All about color, abstract, but clearly a recognizable form and volume and distinctly representational. 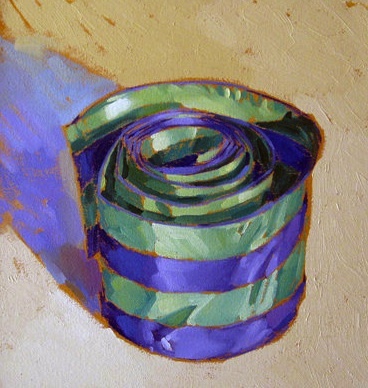 All-over undercoat on ochre, complementary to the colors in the image, letting it show around edges to heighten the color, a la Thiebaud, but it has a feel all its own. Painterly, has the feel of a first take, no “going back over” as Welliver claimed he never did.